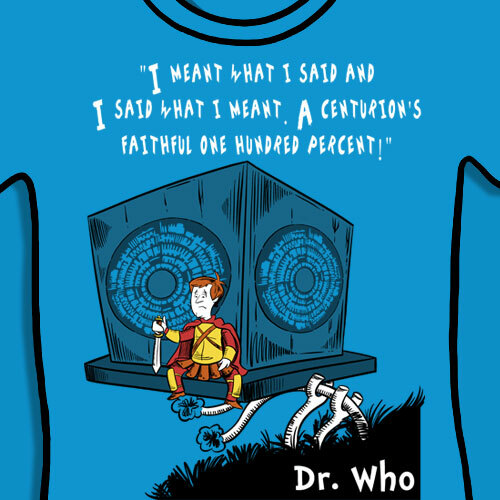 NEW Doctor Who/Dr. Seuss Shirt at Sharksplode! DO YOU WANT A PRINT INSTEAD? 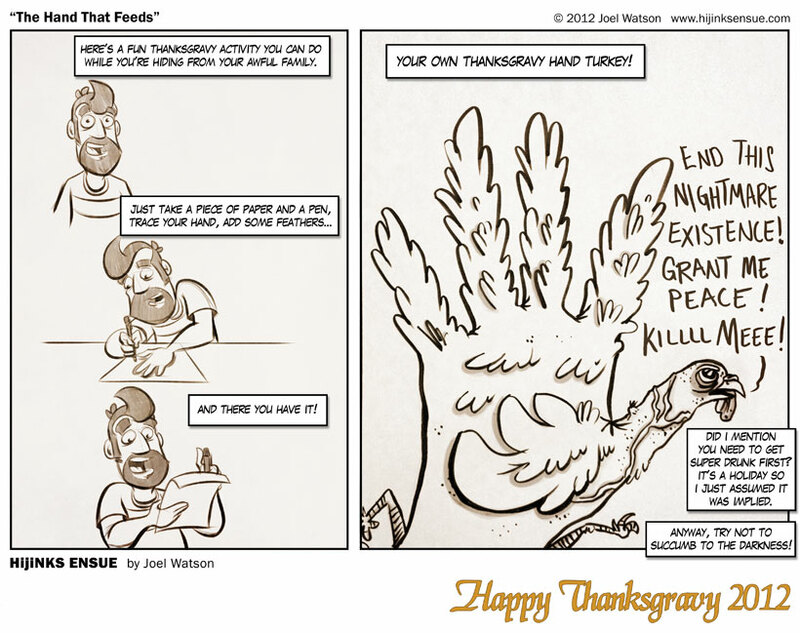 Did you know the horrifyingly deformed Hand Turkey is the official mascot of Thanksgravy? Each year on this day, little children leave a ladle full of gravy under their pillows and while they slumber, bellies plump with yams and holiday spite, the Hand Turkey will come to visit them. If he deems them good and virtuous and sufficiently crammed with pie and/or hungover, he will leave a gift under their pillow. And sometimes on the floor next to their bed. And often right on their miserable little cranberry sauce stained faces. He’s a generous bird. A loathsome, self-hating bird, but a generous one none the less. How about you make your own Thanksgravy Hand Turkey and post a link to your masterpiece in the comments. If you post them to Twitter, use the hashtag #thanksgravy. COMMENTERS: Please add to the myths and traditions of Thanksgravy and the Hand Turkey. Day 4 of Blind Ferret Shirtsmas! My Unicorn Poop shirt is only $7.95 TODAY ONLY!! !